The top golf courses in Utah has been voted and rated by UtahGolf.com golfers. Each year users rate the courses. 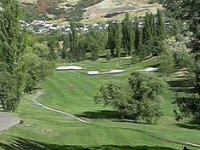 Check out below if you played these top ranked golf courses in Utah.